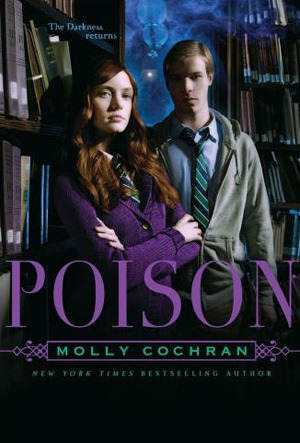 Poison is the second book in this series. I will be honest- I tried my best to find the first book- library, every bookstore in two counties and failed completely. I was really hoping that I would still be able to enjoy reading Poison without reading the first book. I absolutely did. Though there were a few references to the first book, I really didn't find myself wondering what on earth happened. I went with the flow and I genuinely feel as though I didn't miss too much. Poison begins pretty soon after Legacy ends. Peter and Katy are officially together and things seem to be going well for our heroine. That happiness doesn't last, though. Peter and Katy's relationship is tested time and time again and Katy finds herself in the middle of some pretty big drama. Not many people are nice to Katy in this book- including her so-called best friends. I found myself getting angry at the characters. I really compliment the author on that- it takes a lot for me to get riled up about how much I dislike characters (not because they are boring or awful, but because of how unfairly they seemed to treat the main character). All in all, Poison was a very enjoyable read. It was full of whimsy and a certain magic of those other witchcraft and wizardry books. I enjoyed all the tie-ins to the Arthurian legends and really enjoyed how the story played out (even if it was a bit predictable. 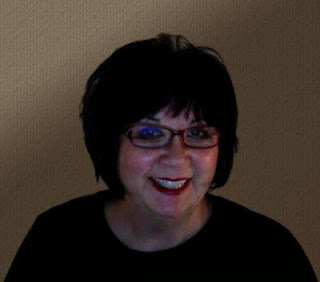 Fans of the Avalon myths and younger readers will find this story entrancing and enthralling. I am eagerly looking forward to the third book! When I saw the word Muffies, I was pulled between seeing Mudbloods and Muffins. Interesting reference for the normals of this world. Sounds like this book is a trying time for the MC, but that is oft what we do as writers. Put our peeps through the press and see what they make of themselves.